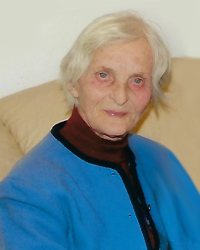 Lubomira Teresa Cyhan (nee Kuzminska) of Philadelphia passed away peacefully surrounded by family on January 13, 2019 at the age of 89. She was born to Ukrainian parents Szymon and Anastazia in Przemysl, Poland on August 16, 1929 — the second youngest of 9 children. Lubomira’s love of God and faith in the Ukrainian Catholic church were of utmost importance. She enjoyed singing in the Ukrainian Cathedral Choir as well as volunteering in church fundraising and activities. Her baking and cooking, especially her walnut tort and pyrohy were enjoyed by all. She had a passion for sewing and will be remembered for her talents and ingenuity. Lubomira proudly became a citizen of the United States in 2014. Her warmth, generosity, beautiful smile and blue eyes will be missed by her family and friends. She is survived by her six children Maria, Irena, Pawel, Michal, Teresa, and Andrej, nieces, nephews as well as many grandchildren, and great grandchildren. Also by her extended family in America: step-son George Cyhan with wife Anna Maria and their children and grandchildren. Step-daughter-in-law Marijka Cyhan and her children and grandchildren. And Roman Kuzminskyj her nephew and godson. Relatives and friends are invited to her 10:00 AM Funeral Service on Friday, January 18th in the Cathedral of the Immaculate Conception , 830 N. Franklin Street, Philadelphia, PA 19123. Her viewing will begin at 9:00 AM. Interment to follow at St Mary Cemetery in Elkins Park, PA. 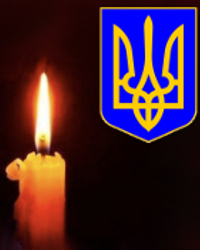 In lieu of flowers, donations can be made to Ukrainian Catholic Cathedral of the Immaculate Conception.